In the Age of Information, inbox zero is a dream that many strive for. Yet it often stays just a dream because of a phenomenon called email overload. On average, humans spend 13 hours a week dealing with email, and the volume of email traffic is increasing at a painfully high rate. Overloaded inboxes are a constant reminder of your unaccomplished tasks, and result in feelings of guilt, anxiety, and stress. It’s likely you work overtime to keep your email inboxes from becoming overloaded. You mark emails to be dealt with later, but ‘later’ never actually comes. As a result, unread emails pile up, forcing you to constantly address a stack of emails over and over again. The whole process becomes a vicious cycle and inevitably leads to email overload. Dealing with all your emails in one sitting would be the obvious plan, but only works if you're someone who rarely receives emails. If you suffer from a perpetually crowded inbox, this strategy is counterproductive as well as physically and mentally demanding, and turns your inbox into a never-ending to-do list. However, leaving your emails unread is sometimes a choice you must make when you are overwhelmed by messages. The faster you deal with these emails, the more efficient and effective your inbox management will be. We’ll talk about the best ways to wipe out piled-up emails on a daily basis and return a degree of order to your inbox. And no, we’re not talking about the “Delete All” button. Email overload can take the form of a massive backlog in a disorganized inbox, or an increased workload because of being presented with too much information via email. If you are overloaded by email you will generally be slower to respond, yet constantly feel guilty and stressed regarding your untimely replies. Email overload can be caused by several different factors. Perhaps you focus your attention only on emails that are directly addressed to you and contain single, clarified subject lines. Maybe you tend to ignore group emails and those with unclear or poorly written subject lines. Back-and-forth exchanges can be tedious and time-consuming, and could be more efficiently dealt with via a voice call or messenger. Email overload can also be due to your lack of management when dealing with your inbox, whether that is because you are unfamiliar with the platform, or you have not been given clear direction from the company. Perhaps you simply have too many work obligations to be able to deal with your emails consistently. The end result is the same. Other causes could be beyond your control, such as slow Internet connection, or possibly the very nature of your job if it creates a high volume of emails that has become out of hand. Break up an important email into smaller ones that are targeted to particular people whom you want to take specific actions. When you receive an email that already has many replies, propose a conference call instead to accomplish the task faster. By using rules and filters, you can have your email copy your routine email decisions. You can also add and manage labels for easier email referencing. Dealing with emails only becomes a serious matter if it plays a critical role in business and organization operations. Email overload at work must not be left unattended, or else the company could lose some of its biggest and most loyal clients through lack of attention. However, restoring organization in the workplace is not as complicated as you might think. The best way to deal with email overload is to change your own behavior, and become an organizational master. This transformation will never happen if you focus purely on developing time-management skills. 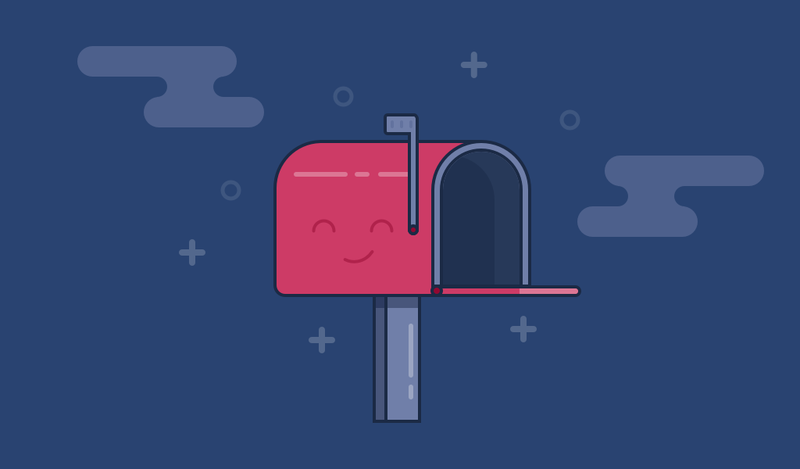 A wiser and more practical approach is to work on becoming consistently mindful when dealing with your inbox. Unsubscribe from and avoid irrelevant newsletters and email subscriptions. Leverage your effort by using auto-unsubscribing tools like unroll.me. Set different periods in the day for handling emails. Choose the times when you feel most energetic and focused. Make sure you don’t impulsively ruin your schedule. If you have to, tell every important person in your contact list about your email schedule. Use concise and straight-to-the-point email content and subjects. Share any email thread with three people at most. Use Boomerang and let it manage your unread messages by keeping them somewhere else and returning them all to you once you need them again. Sanebox is a comprehensive email management tool that acts as a smart filter for your emails. Some of its best features are response tracking, one-click unsubscribe, and snooze non-urgent mail. Too tired to recover forgotten emails? Mailstrom will find them and group them into bundles for you. The best way to achieve inbox zero every day is to take most of the emails out of your inbox. How can you do that? You can start using a work management application like Azendoo with your team and stop sending emails back and forth. Regroup all your team’s work in shared Task lists, send Messages to and have conversations with wider audiences, collaborate within individual Tasks, and increase the overall visibility you have on your team’s progress and accomplishments. If you move all your internal communications onto a tool like Azendoo, your email inbox will then serve only as an external communication tool. This makes things much easier to handle, as you will save time otherwise spent on dealing with hundreds of internal-communication emails each week. Extra tip: Azendoo also has an email-to-task feature to turn your emails into actionable Tasks. You can also invite guests and collaborate with external entities within Azendoo for deeper collaboration. As you can see, achieving inbox zero need not be just a dream. But it does require effort if you are serious about achieving it. Remember, the first step of turning a dream into reality is to wake up from the dream and start taking action. So it’s time to take your head out of the clouds, and start putting your work management systems in the cloud instead.